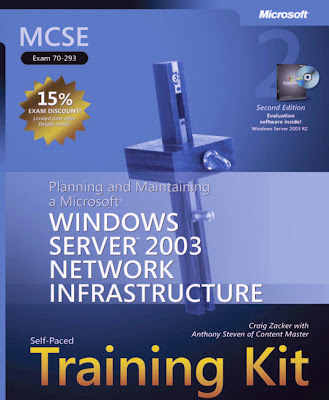 Ace your exam preparation and ramp up quickly on Windows Server 2003 by working at your own pace through the lessons, hands-on exercises, and practice tests. This kit packs the tools and features that exam candidates want most—including in-depth, self-paced training based on final exam content; rigorous, objective-by-objective review; exam tips from expert, exam-certified authors; and a robust testing suite. It also provides real-world scenarios, case study examples, and troubleshooting labs for skills and expertise that you can apply to the job. this is dipu, i am using this website last 1 year. 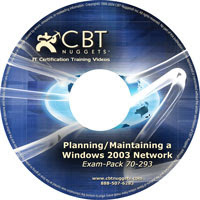 but now i am getting problem to download part 4 of cbt nuggetts 70-293. please check the link and give me reply. hi,is there any latest updates of this exam..
brother.. the upload box is toooo slow… it takes more than one hour to download a part….